Recent studies suggest that most senior adults facing the choice of permanently leaving their homes for a more supervised way of living do not want to go. However, many resources make the alternative, living independently or “aging in place,” possible. Before the decision is made to determine whether a senior should live independently, questions need to be answered and plans need to be made so that everyone involved understands the situation,” says team members of the Bethesda’s Care Management Program. Once those have been addressed, they say, implementation can be considered. The first step to making a plan for a senior to live independently is to hold a group meeting. The meeting could include the senior’s, family members, caregivers, friends, helpful neighbors, and perhaps the help of a care management team member or a health care provider. Transportation: Is the senior still capable of driving? If not, who will transport them to doctors’ offices, religious services, family events, and other outings? Household maintenance: How much assistance is needed to clean the house, take out the trash and maintain the property, including lawn mowing? Financial management: What are the senior’s financial responsibilities? Is it necessary for someone else to pay the bills and keep track of finances? Medical care: Is professional in-home care needed? Who will take the lead: Once a plan is place, who will accept the role of coordinating care and notifying all of the other involved parties? Remember, even seniors who age in place may need a helping hand, and family members cannot always assume the caregiver responsibilities. Care Management team members can help out with household tasks, home care services, and even financial or health care planning. 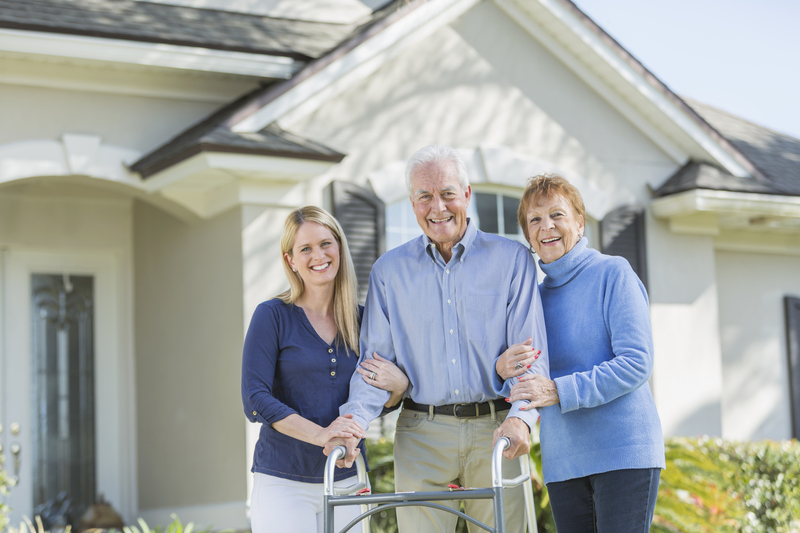 While seniors who are able to age in place can stay in their familiar environment, there are a couple of considerations to make. First, will the senior become isolated in their own home as they age? There are many opportunities for socialization and activities in most independent and assisted living communities. Watch for signs that your senior living at home isn’t retreating from activities he or she used to enjoy. Second, aging in place does not always equate to living independently. Periodic reassessments are needed, and caregivers should keep a written record of their observations concerning the mental and physical well being of the senior. In addition, it would be advisable to become acquainted with area senior living communities (including assisted living communities), in case the situation changes. Once the decision to age in place has been made, there are several ways to prevent accidents in a senior’s home. Many of them, not center on the bathroom, but improvements can be made throughout the house. Brighten lighting throughout the home. Reduce clutter and tuck away cords or trip hazards. Check carpeting for tears and remove throw rugs. Use non-slip mats in the bathroom and kitchen. Horizontally mounted grab bars near toilet and tub (although walk-in showers are best). Make sure doorways are wide enough for walkers. For additional support when helping a senior live independently, there are also certified aging-in-place specialists (CAPS) who understand the aging-in-place home remodeling needs and market. They can advise on remodeling projects, building standards, and product ideas. Studies have shown aging in place can shorten healing time, improve mental health, increase feelings of dignity and provide a high quality of life. For those seniors who would prefer to stay at home, there are many ways to pursue and accomplish that goal. Learn more about the in-home senior care services that Bethesda offers in the greater St. Louis area.